Major renovation and construction activity often results in massive amounts of debris that needs to be cleared away soon to make the place as safe and livable as possible. One of the best ways to get rid of large quantities of construction debris is to choose roll off dumpster rentals that are highly convenient and affordable too. These roll-off containers can be placed in the street with a permit or within the area of your property, to dispose the waste in a convenient and safe manner. Once the dumpster is full, it can be removed with ease for disposing the debris. To store the dumpster on your street, however, you need to get a permit from the relevant authorities like the city municipal corporation. The costs of renting a roll off dumpster for your construction will also depend on the size of the dumpster, which can be 5 to 20 yards . The price you pay for renting these disposal bins often includes the charges for delivery of the container, pick up and disposal of the debris and removal of the container in a safe manner. Roll off dumpster rental in Vancouver depends on locationn and the type of material to be discarded, for a period of 7 days. 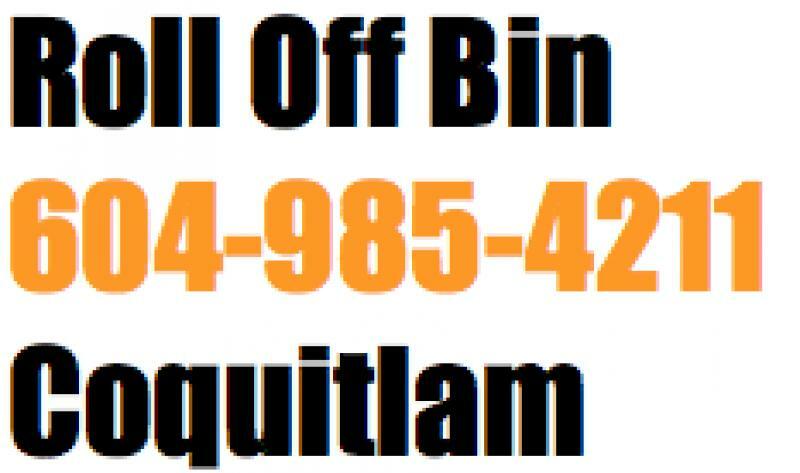 Watch our Bin Rental service in Coquitlam.